In the Ice Age, the inhabitants of today`s Europe were hunting mammoths with javelins. The first direct evidence of this is a fragment of a 25,000 years old flint head discovered in Kraków, southern Poland, stuck in a mammoth rib. 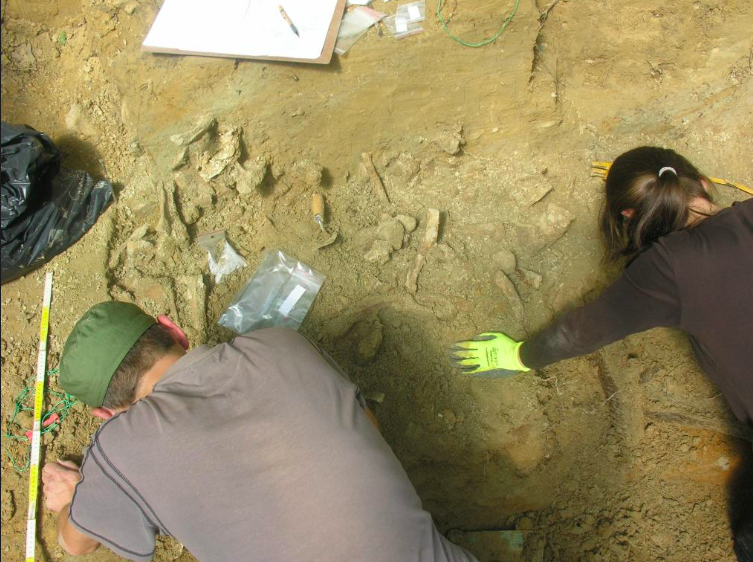 "Among tens of thousands of bones, during a detailed analysis of the remains, I came across a damaged mammoth rib. It turned out that a fragment of a flint arrowhead was stuck in it. This is the first such find from the Ice Age in Europe!" said Dr. Piotr Wojtal from the Institute of Systematics and Evolution of Animals PAS in Kraków. The analyses, co-financed with the National Science Centre grants, are conducted jointly with Dr. Jarosław Wilczyński. "We finally have a 'smoking gun', the first direct evidence of how these animals were hunted", notes the archaeozoologist. So far, among the bones of mammoths and other animals found near the cluster of animal remains in Kraków, archaeologists have discovered several hundred fragments of flint blades, of which about half were broken at the tip, probably after hitting a hard object. "The tip of one of them has now been discovered inside a bone", adds the scientist. 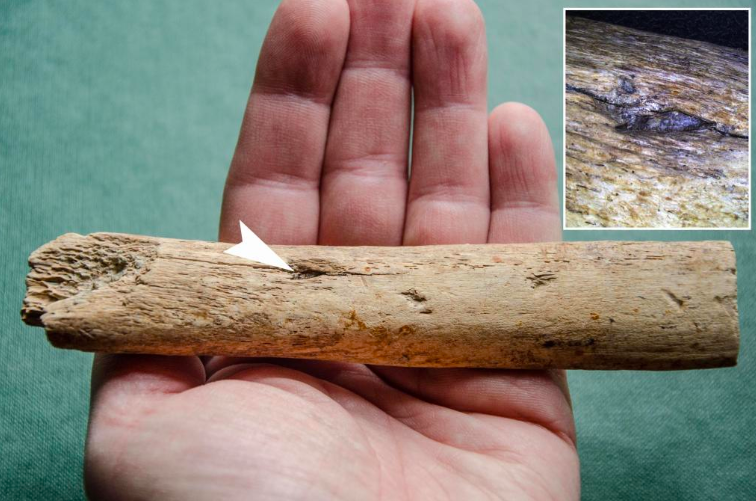 "The spear was certainly thrown at the mammoth from a distance, as evidenced by the force with which it stuck into an animal - the blade had to pierce two centimetres thick skin and an eight-centimetre layer of fat to finally reach the bone", says the expert. The blow to the rib was not fatal to the animal. But the attack probably involved several hunters and one of them struck the animal in another place, which led to its death. "Probably directly into soft tissues and one of the organs", Wojtal adds. Similar finds from the Palaeolithic period are very rare. 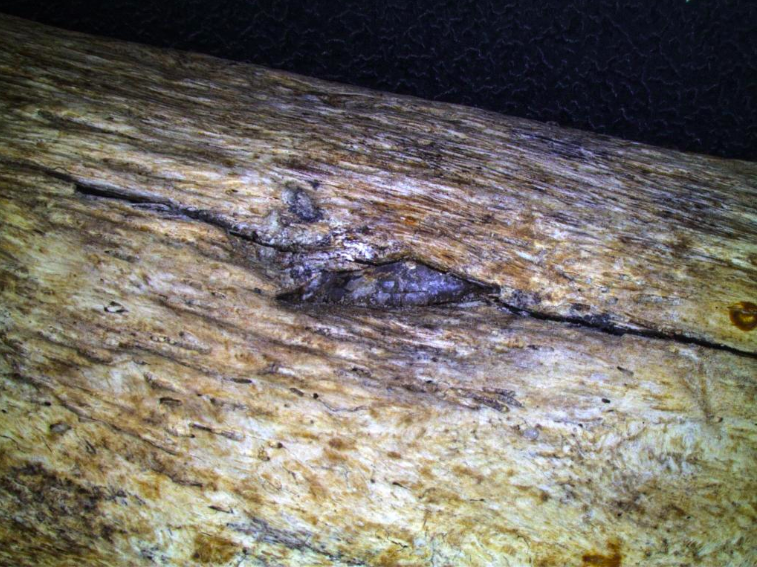 Flint blades embedded in the bones are preserved only in the case of larger animals. "There are known cases from Europe concerning the remains of bears found in Germany", Wojtal says. Mammoths appeared in Europe about 500,000 years ago. Their youngest remains from Poland are approx. 13,000 years old. These animals reached over 3m in height and weighed up to 6 tons. Mammoths began to die out around 15,000 years ago. They survived longer in Alaska and in north-east Russia on Wrangel Island - until the third millennium BC. The changing climatic conditions associated with the end of the Ice Age are considered to be the main cause of their extinction. But it can not be ruled out that man also contributed to the extinction of these large mammals at the end of the Ice Age.